Island of Sveti Nikola, June 28, at 8 p.m. Currently, Billy Childs is one of the most sought after jazz composers, arrangers, and pianists. His bountiful career brought him ten Grammy Award nominations, three times the charm; two of the prestigious figurines he won were in the category of the Best Instrumental Composition in 2006 and 2011 (for Into the Light from his release Lyric and for The Path Among The Trees from Autumn: In Moving Pictures, respectively) and one in the category of the Best instrumental arrangement accompanying vocalist(s) in 2006 (for What Are You Doing the Rest of Your Life performed by Chris Botti and Sting). 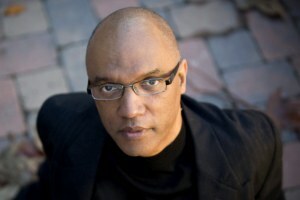 Billy Childs was born in Los Angeles in 1957. He discovered his love for music at an early age and got his first piano lessons from his parents. At the age of 16, he started formal musical education and with time focused his interests on composition, in which he graduated from the University of Southern California in 1979. His first jazz gig was a J.J. Johnson's two-week tour in Japan, followed by a six-year collaboration with Freddie Hubbard (1978–1984), whom Childs considered his true jazz mentor. In 1988, Childs set off on a solo career with the release of Take For Example, This…, the first of four albums recorded for the Windham Hill Jazz label. The last two releases, Lyric and Autumn: In Moving Pictures sum up ten years of work with his Jazz-Chamber Ensemble that uniquely combines classical music and jazz, which earned Childs broad acclaim from the critics and the audience. Childs has shared the stage and the studio with a number of distinguished jazz performers such as Joe Henderson, Bobby Hutcherson, Clark Terry, Johnny Griffin, Jimmy Heath, Art Farmer, Nat Adderly, Wynton Marsalis, Ron Carter, and Don Byron. His outstanding compositions were performed by a wide variety of orchestras, from the Detroit Symphony (which in 2010 premiered Childs's concerto for violin and orchestra, with Regina Carter as the lead violin) over the Lincoln Center Jazz Orchestra and American Brass Quintet to Kronos Quartet. 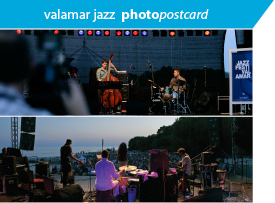 In Poreč, Billy Childs will be performing with three outstanding musicians of his All Star Quartet, who do not need special introduction: saxophone player Steve Wilson (who played with Chick Corea, Dave Holland, and Joe Henderson); double bass player Hans Glawischnig (Bobby Watson, Chick Corea, Phil Woods), and drummer Kendrick Scott (played with Terence Blanchard, Kenny Garrett, and Joe Lovano).